Let's talk about eatery at Ipoh that not much people talk about. You know at Ipoh it's not always about old town white coffee or Ipoh hor fun, local don't eat those often. So when you visit Ipoh, be sure to ask suggestion from locals, they will lead you to some eateries that taste good and yet - not crowded! 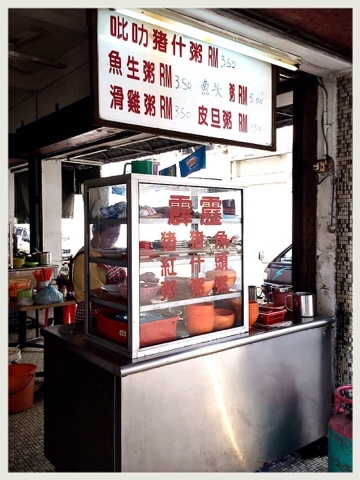 This stall has been serving the locals for more than 20 years, and they have delicious fried pork intestines which even Xuan will ask to dine here. If a child will ask you to bring them dine at some specific place, it is either fast food place or some really delicious food cooking over there! I personally does not like fried intestines or whatever entrails of animals hence I don't know how it taste like, but if you're a fan you might want to give this porridge a try when you're here at Ipoh. I ordered this and it's so yummy! The porridge consist three types of eggs - chicken eggs, salted eggs and century eggs which made up the name "Sam Wong Dan" and literally meant three egg yolks. 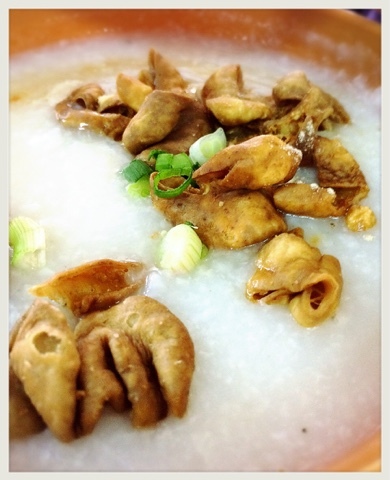 The porridge is well mixed with chicken egg and chunks of salted eggs. I scoop out century eggs tho because I really dislike the taste of it. It became "Liong Wong Dan" porridge for me Lololol. This stall serves good porridge to the locals, and it is my first time to know there's "Sam Wong Dan" porridge (perhaps I didn't ask? 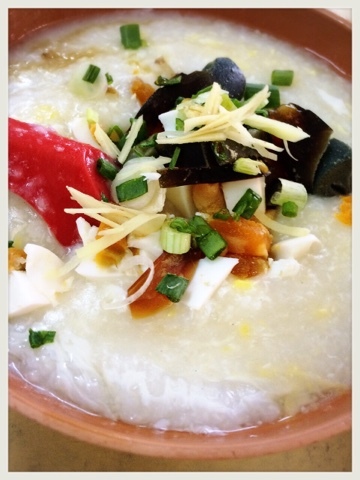 ), I never seen that anywhere at KL, mostly century eggs porridge, which I distaste. Anyway, the stall is located inside Restoran Kar Heng, just right at the corner nearby the roundabout. Be sure to stop by if you're around Ipoh area and looking for some local eatery to satisfy your belly!